It's time to clean the air ducts, and you want to find the right company for the job. Be a smart consumer, and follow these tips to find a reputable air duct cleaning and HVAC maintenance provider. We've all seen the flyers promising a full house air duct cleaning for $99 or even lower. Don't believe it. No reputable company will work for three to four hours (the average amount of time to clean a home's air duct system) for that amount of money. They can't afford to. So what is that low price about? At best, it's about attracting customers, and it is deceptive. Maybe you'll find out when the technician inspects your system that the price advertised does not include the services that you need. Suddenly, you'll need to pay a great deal more for the cleaning. Or even worse, the technician may spend a few minutes vacuuming out your vents, without giving the full cleaning service that your HVAC system needs for best performance. And it may even make your indoor air quality worse. 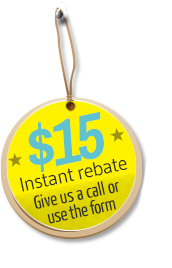 Reputable air duct cleaners know the worth of their service, and they charge fair and competitive prices. Sometimes your friends, family or neighbors have gone through this process themselves. Ask for their recommendations. Feel free to speak to more than one company, so you can compare their prices and qualifications before you decide. 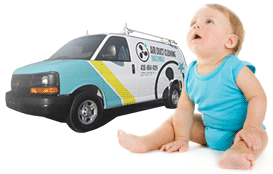 All air duct cleaners should be licensed and should carry sufficient insurance to cover damages. Ask for proof of this. One way to check this is to ask about their professional memberships. For example, membership in NADCA, the National Air Duct Cleaners Association, requires proof of liability insurance as well as having a staff member certified by NADCA for air duct cleaning and HVAC system cleaning services. Do you check and clean the HVAC system as well as the ductwork? Have you worked on a system like mine before? What equipment do you use for air duct cleaning? Air Duct Cleaning Baltimore employs a team of experienced technicians for residential and commercial duct cleaning in the Baltimore area. We are fully licensed and insured, and we guarantee our work 100%. To schedule a no-obligation inspection and estimate, call today.